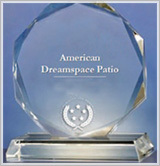 American Dreamspace, Inc., the manufacturer of the Dreamroom 6400 Series Patio Enclosures and Sunrooms, has utilized their decades of experience, research and design in the industry to develop one of the most functional and attractive Patio Enclosure and Sunroom Systems in today's market. 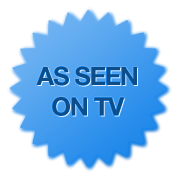 American Dreamspace is on the forefront of market and product innovations. Constant product development and modification is integrated into the most current manufacturing technology by a highly trained and knowledgeable workforce. The Dreamroom 6400 Series Sunroom is built to meet or exceed International Building Codes structurally. The windows used in the sunrooms meet or exceed the American Architectural Manufacturing Association, National Fenestration Rating Council and ENERGY STAR standards or requirements. The Dreamroom 6400 Series Sunroom is a revolutionary concept in sunroom design with improved structural characteristics using engineered building products delivering strength and stability for long unsupported spans and dramatic window configurations. Named one of Maine's Top 100 Businesses twice by Portland Magazine, awarded the Best of Local Business Award for five years running by The United States Commerce Association along with an A+ Rating by the Better Business Bureau with ZERO customer complaints throughout our history, you can trust us to Make Your Dreamroom a Reality!